On March 13, 2016, the ANC’s spokesperson Zizi Kodwa issued a breathless statement in reaction to the Sunday Times’ lead story about deputy minister of finance Mcebisi Jonas’ revelations that he was offered his boss’s job by the Guptas. Kodwa slammed the report as “gossip mongering masquerading as news” and said the paper displayed an “overzealousness to portray the leadership of the ANC in general…as collaborators to fit the fictitious narrative of a Gupta-controlled country”. Three years later and Kodwa’s statement looks pathetic. Not only was the Sunday Times’ and Financial Times’ revelations confirmed by Jonas shortly after it was published, it was subjected to an investigation by the public protector which led to a judicial commission of inquiry (ordered by the High Court, contrary to what the ANC says). It is now abundantly clear that there was nothing fictitious about the ANC and government leadership being beholden to the Guptas. On Sunday the ANC issued an even more hysterical response to reports in newspapers (and on News24) based on investigative journalist Pieter-Louis Myburgh’s book into Ace Magashule’s allegedly corrupt dealings, entitled Gangster State: Unravelling Ace Magashule’s Web of Capture. The ANC fired buckshot in all directions, angrily rejecting the allegations against Magashule and simply ignoring the substance of Myburgh’s book. He describes Magashule, the ANC’s secretary general and a former Free State premier, as the head of a well-organised state capture network, doling out state contracts worth billions of rand to the politically connected and skimming off kickbacks in return. In order to hide his fingerprints he only deals in cash. He also embellished his struggle credentials and used strongarm tactics to cling to power in his home province, the book alleges. 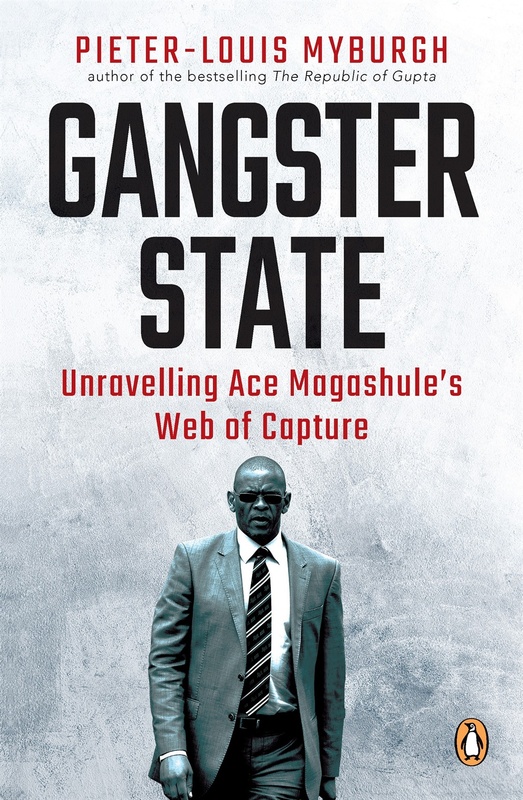 Gangster State is a forensic account of the inner workings of Magashule’s empire, complete with documentary evidence to prove moneyflows to key players in his orbit and explains how he uses his position and influence to direct government expenditure to his advantage. But the ANC’s reaction – ill-considered, parochial, racist, rabid – not only reveals its structural and institutional inability to deal with serious allegations of corruption, but also that Myburgh might well have hit the party amidships. The ANC statement’s headline, cleared by Magashule’s office, says the reports are “fake news”, “propaganda” and declares “hands of our SG!” – reminiscent of the bllind and brainless loyalty shown to the corrupted former president Jacob Zuma. The governing party, with the fight against corruption as one of its stated election promises, dismisses Myburgh’s book out of hand, without having read it, considering the evidence, interrogating Magashule or with the benefit of a criminal investigation. It attacks the author and the media and, worryingly, delivers a threat, saying the party’s leadership is “growing weary” because of attacks “on certain leaders of the ANC”. Myburgh’s book is part of a “well-coordinated media attack”, in “typical Stratcom style fake news” and the culmination of the author’s “lies”. It “peddles lies”, amounts to “a vicious character assassination campaign” and the newspapers that published stories based on the book are “embarrassing rags”. The statement not only rejects the book’s allegations but commits the ANC and its leadership – inlcuding the proponents of President Cyril Ramaphosa’s new dawn/thuma mina doctrine – into defending Magashule to the last. Magashule, who led the Free State to ruin, is described in DPRK-like terms as “one of the most well-known liberation fighters” with a career “that spans over decades” under whose “capabale leadership” the ANC will “secure a resounding (election) victory” in service of “radical economic transformation”. Also, the news reports and the book are “anti-black”. The statement is all over the place. The party failed dismally in curtailing the corruption, mismanagement and criminality when confronted with evidence when Zuma was the party’s leader. Then, as now with Magashule, it turned a blind eye to investigations that revealed malfeasance, opting to attack the media as instruments of regime change, Western imperialism and white monopoly capital while defending a leader of questionable integrity and ethics. The ANC’s inability to decisively deal with corruption under Zuma not only caused extensive damage to the country but was directly responsible for the ANC’s recent loss of support. And if the party cannot act in its own interest against tainted leaders, it cannot be expected to act in the national interest. Ramaphosa and the constitutionalists inside the ANC are locked in battle with Zuma’s rent-seeking faction. Magashule is their flag bearer. And if, after the revelations in Myburgh’s book, he remains untouched it will confirm that Ramaphosa is not winning the battle and that the corruptors are in the ascendancy. Myburgh’s book is an excellent investigation into Magashule’s world, but much of what he wrote has been in the public domain for years. Details of the failed province that the Free State has become under Magashule’s leadership are documented in numerous reports of the auditor general, the provincial standing committee on public accounts and Statistics South Africa. State capture, corruption, poor governance, economic mismanagement – Zuma survived it all. And on Sunday he posted pictures of himself floating belly up in a swimming pool. The Magashule issue is a test that Ramaphosa’s ANC is seemingly bound to fail. Just look at JZ.